Please visit my shop if you wish to purchase any of these paintings. One of a series of paintings of the sunset at Aberlady on a drive back from North Berwick. Acrylic on box canvas, 40 x 55 cm. Cumbrae at sunset. This was at a work event with all the yachts racing home as the sun set. 60 x 90 cm, acrylic on box canvas. 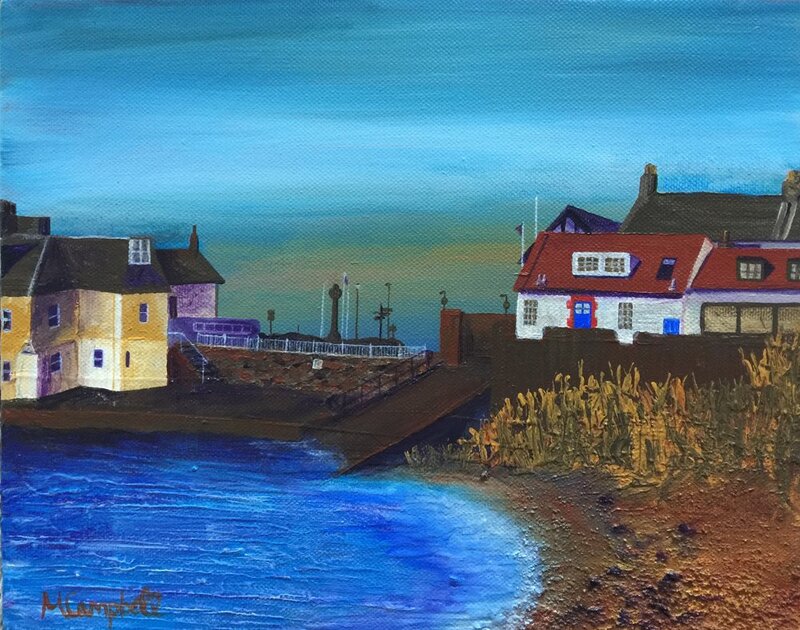 One of a series of paintings from a trip to North Berwick. 24 x 20 cm, acrylic on canvas. One of a series of paintings of the sunset at Aberlady on a drive back from North Berwick. I enjoyed seeing the outline of the Forth’s two bridges in the distance. This was before the Queensferry Crossing was built. A view of Tantallon Castle from the beach. 50 x 40 cm, acrylic on box canvas. The second of a set of two paintings where I watched the light and atmosphere change over the Crags. 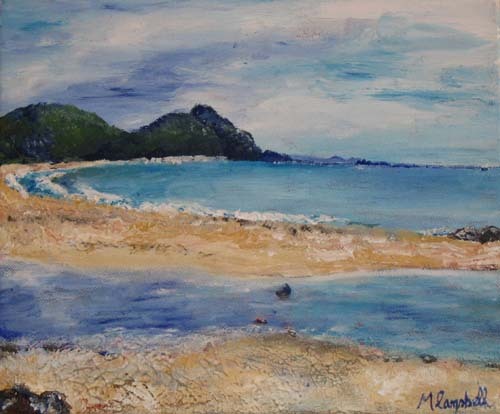 The first painting has been sold but can be seen in “Sold Work”. 50 x 20 cm, acrylic on box canvas. Painted during my travels in Australia with the lovely Julia. : ) 30 x 25 cm. Acrylic on canvas. View from St Margaret’s Loch. Second of two images in the series. 20 by 20 cm, acrylic on canvas. View from St Margaret’s Loch. First of two images in the series. 20 by 20 cm, acrylic on canvas. Inspired by one of my favourite childhood ice lollies! Painted as a gift for Cliff the year after we met. We quickly discovered that we both had an affinity for Uluru and had spent hours photographing the changing light there in the same year before we met. I love the way that the light changes the shadows and colours on the painting, much like the monolith itself. Not for Sale. One of my favourite places in the world where I had many wonderful experiences and met some amazing people who remain my friends (you know who you are!). Due to David Attenborough, I always wanted to visit The Great Barrier Reef and I am privileged to have done so. The images of the land, sea and sea life of this area (and David Attenborough) continue to inspire me. Perhaps one day, I will make it back to Airlie Beach.